There are smaller pieces that make up cells such asmacromolecules and organelles. A protein is an example of a macromolecule while a mitochondrion is an example of an organelle. Cells can also connect to form larger structures. They might group together to form the tissues of the stomach and eventually the entire digestive system. However, in the same way that atoms are the basic unit when you study matter, cells are the basic unit for biology and organisms. Plant cells are easier to identify because they have a protective structure called a cell wall made of cellulose. Plants have the wall; animals do not. Plants also have organelles such as the green chloroplast or large, water-filledvacuoles. Chloroplasts are the key structure in the process of photosynthesis. 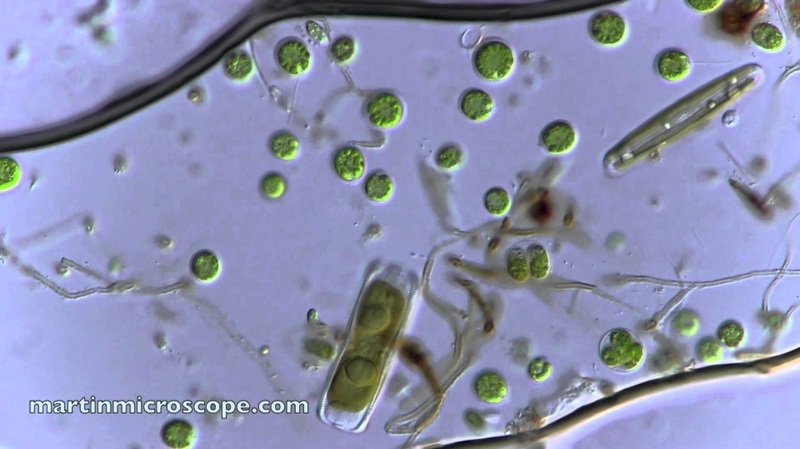 Protozoa are a diverse group of unicellular eukaryotic organisms.Historically, protozoa were defined as single-celled organisms with animal-like behaviors, such as motility and predation. Paramecium is a genus of unicellular ciliated protozoan, commonly studied as a representative of the ciliate group. 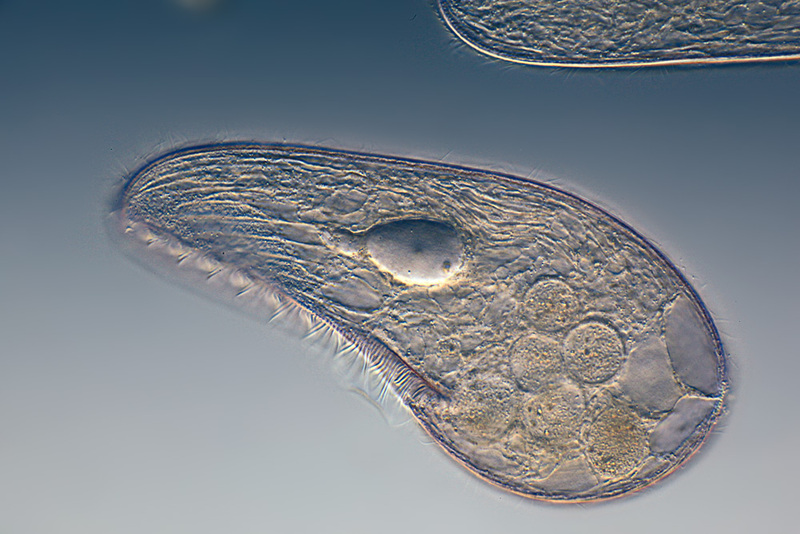 Paramecia are widespread in freshwater, brackish, and marine environments and are often very abundant in stagnant basins and ponds. ​Half the fun of a compound microscope lies in the slide preparation. This is particularly true with younger children where slide preparation and viewing provides a wonderful opportunity for cross-generational bonding. Moreover, slide preparation is engaging without being overly taxing - a good combination for younger children. For students and hobbyists, these basic processes can be applied to any number of different experiments - limited only by your imagination! Using great care, cut as thin a slice of cork as possible from the end of the cork. Using the pipette, place one drop of water on the slide. After making sure that the water drop is larger than the slice of cork, use the tweezers to place the slice of cork on the water. Hold the cover slip at an angle to the slide so that one edge of it touches the water drop. Carefully lower the cover slip and ensure no air bubbles are trapped beneath it. The water will seal the cover slip but use the corner of a paper towel to gently absorb any excess water. If you want to retain the slide longer, smear a little petroleum around the cover slip with a toothpick. This will keep it from drying out. 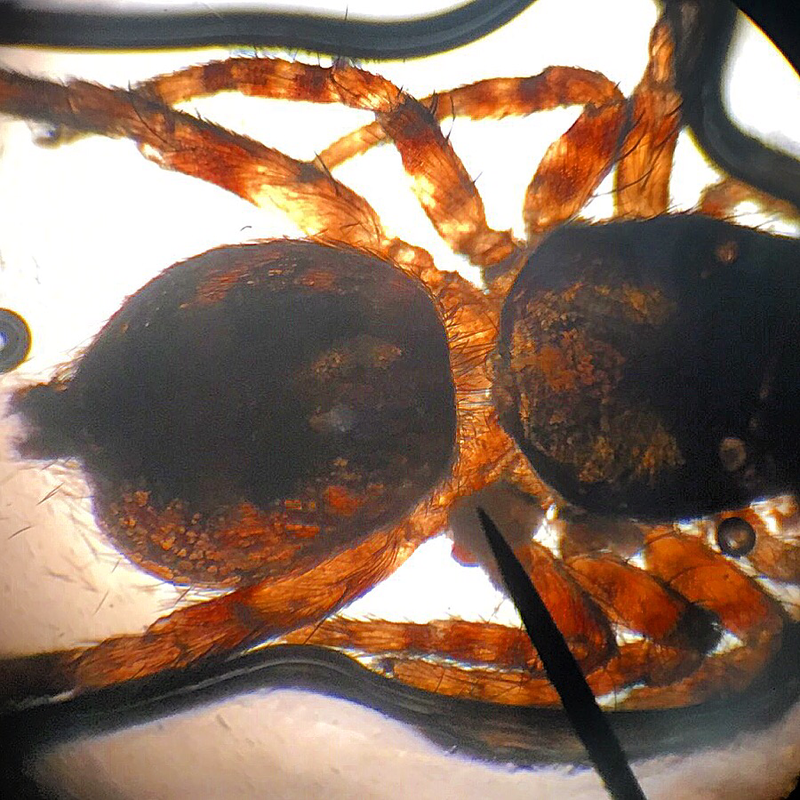 Then mount the slide on your microscope and view it using the lowest objective lens, first. A scientist's favorite! Viewing your own body tissue and a cheek cell is a good way to start. Cheek cells are called Squamous Epithelium cells and they are also a good first use of a microscope stain, in this case Methylene Blue. Scrape the inside of your cheek with the Q-tip and wipe it on to the center of the slide. Hold the coverslip or another slide with one end flush on the slide and gently wipe the edge of the coverslip over the scrapings. This is called a smear and it makes a specimen layer thin enough to view clearly. Leave the cells to dry. When dry, add a drop of Methylene Blue stain. This helps add contrast to the nuclei of animal cells, making them easier to view. Lower the cover slip, mount on your microscope and view starting with the lowest power objective. This is another good experiment that illustrates the plant cell. Peel the onion and cut a small section from the inside layers of the onion. Use a pair of tweezers to peel away the transparent membrane that you will find on the inside layers. Create a wet mount and add a drop of Eosin Y stain. Eosin Y helps highlight vegetable proteins. Mount on your microscope and view starting with the lowest power objective lens. Methylene BlueMethylene Blue is a popular alkaline stain used to view microscopic life in brilliant color. It helps make cells show up against their background, where their shape can help you determine what they are (their morphology). ​Eosin Y Stain is a reversible, fluorescent red, acidic dye, commonly used in hospital histology labs. Eosin's most important medical uses are in blood and bone-marrow testing, including the PAP smear. It can also test for protein in plant, animal and blood specimens. This stain is a valid substitute for Congo Red or Neutral Red and is frequently used as a counter-stain to Haematoxylin in H&E staining.